The condo complex first entered the market with the release of six units mid-2017. The response was resounding and due to the exceptional demand, seven units were sold in the initial release. The development has primarily attracted corporate tenants looking for a long-term rental home, as well as persons looking for short- to mid-term tenancies. Owners have seen an average return on investment of 3%, and now, the developer has released the remaining four apartments. 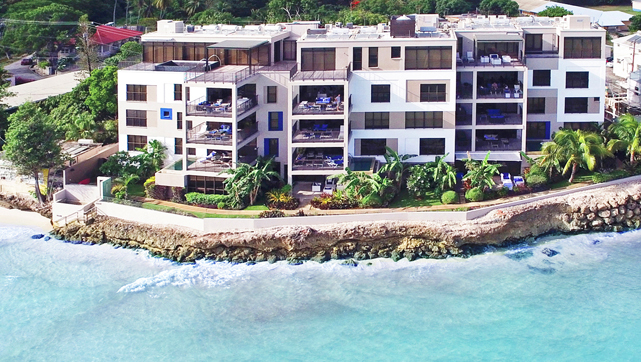 Overall, Ocean Reef is a gated development that houses 12 spacious apartments on an impressive five storeys. This high-rise concept therefore offers truly one-of-a-kind views of the south coast. 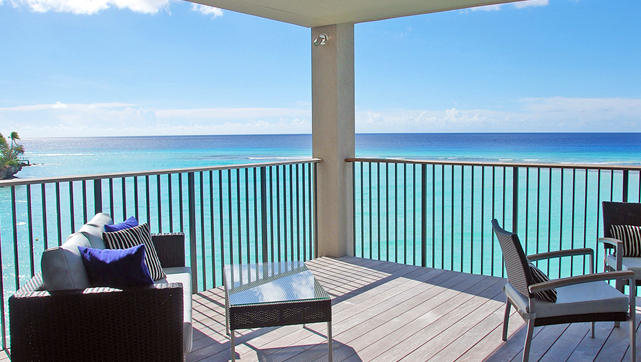 Besides its spectacular beachfront advantage, it is an intimate community with contemporary-designed units featuring a modern twist on minimalist style of décor and design, fully equipped with a modern kitchen and elevators to service the upper levels. Perhaps the most charming thing about living at Ocean Reef is the fact that it redefines the concept of eating out and take away dining. Right on the doorstep (literally) of the development is the bustling St. Lawrence Gap, complete with several dining options that cater to any taste and fancy throughout the day - literally taking the hassle out of planning meals for the family! Just a glance away from your cozy perch are popular eateries including Apsara, the home of curry, spices and everything Indian; the ritzy Primo, chic Cocktail Kitchen and the Gap’s Mexican food staple Cafe Sol. But the options do not stop there. In addition to these tried and true spots is the trendy brunch option Bliss Café, with its decadent menu waiting to win you over! But there is still the chance to find your perfect home at Ocean Reef! The remaining units span over the first, second and third stories of the complex and all feature three bedrooms and three bathrooms. Check them out below! Ocean Reef 103 - Floor Area: 1,837 sq. 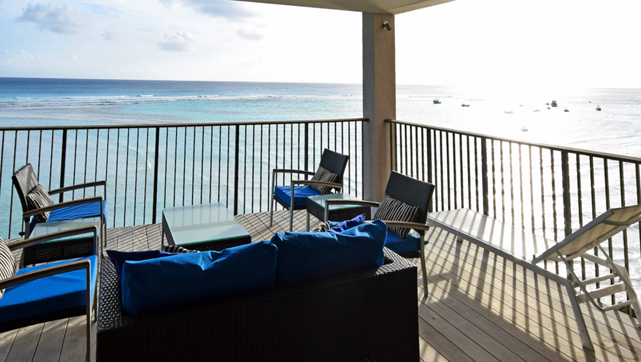 ft. | Furnished | US$830,000 first floor apartment that comes with an infinity edge plunge pool. Ocean Reef 201 - Floor Area: 1,941 sq. 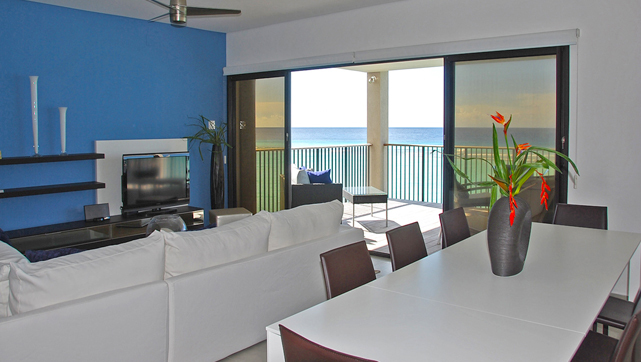 ft. | Furnished | US$840,000 second floor western unit complete with a study. Ocean Reef 202 - Floor Area: 1,865 sq. ft. | Furnished | US$810,000 second floor middle unit that comes with a study. 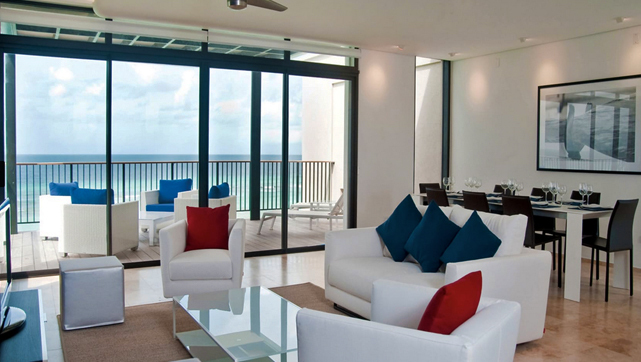 Ocean Reef 302 - Floor Area: 1,865 sq. ft. | Furnished | US$840,000 third floor middle unit with study. For more information on Ocean Reef and all available units, visit the development’s bespoke website here!